Toxins are chemicals they cause harm to the body’s cells, organs, and everyday functions. There are two main groups of toxins: exotoxins and endotoxins. Exotoxins are from outside sources and are inhaled or ingested. Examples are polluted air, water, cigarette smoke, alcohol, medications, food additives and household chemicals. Endotoxins are created internally by the body. For example, undigested food can putrefy, creating toxins that damage cells, tissues and organs in the body. Even someone who eats organic foods, drinks the best water and breathes the cleanest air can still suffer from toxic build up in the body over time. 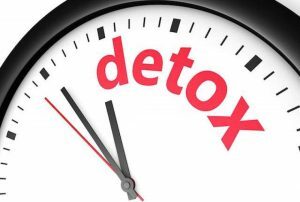 How does your body eliminate toxins? The body has 7 channels of elimination which are used to eliminate toxins from the body. 1) liver- the liver changed harmful toxins into substances that can be safely eliminated from the body. 2) colon- the colon eliminates toxins processed by the liver. 3) kidneys- the liver send water soluble waste to the kidneys, where they are further filtered and finally eliminated through the bladder. 4) blood- blood flows through the vascular system and carries oxygen and nutrients to the cells of the body, while at the same time, removing harmful waste. 5) skin- skin is your biggest eliminator organ. Skin eliminated waste and toxins through perspiration. 6) lungs- the lungs expel toxins through breathing (ex carbon dioxide). Deep breathing eliminates lymphatic flow to toxins. 7) lymphatic system- the lymphatic system eliminated poisons from cells through a network of vessels that extend throughout the body. This entry was posted in BLOG and tagged cleanse, cleansing, health, nutrition, toxins. Bookmark the permalink.